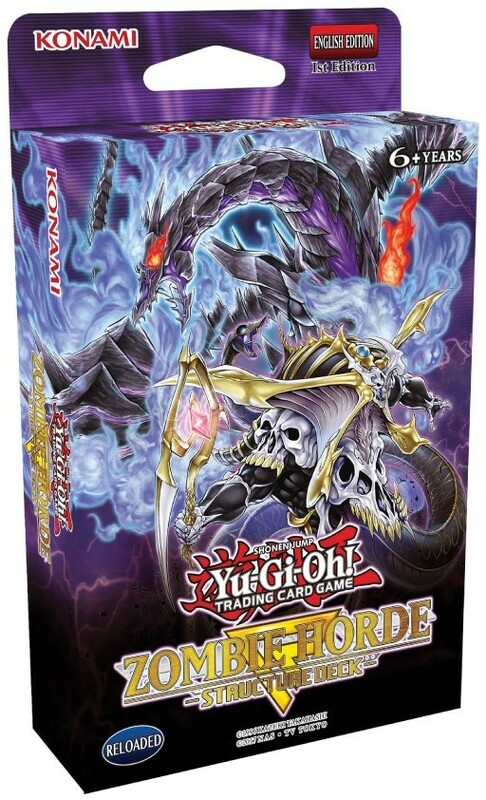 Structure Deck: Zombie Horde is a Structure Deck in the Yu-Gi-Oh! Trading Card Game (TCG). It is the 43st Deck in the TCG's Structure Deck series, following the Wave of Light Structure Deck. This deck is the TCG equivalent of Structure Deck R: Undead World in the OCG. erg prettig deck, nu al 1 van mijn favorieten!